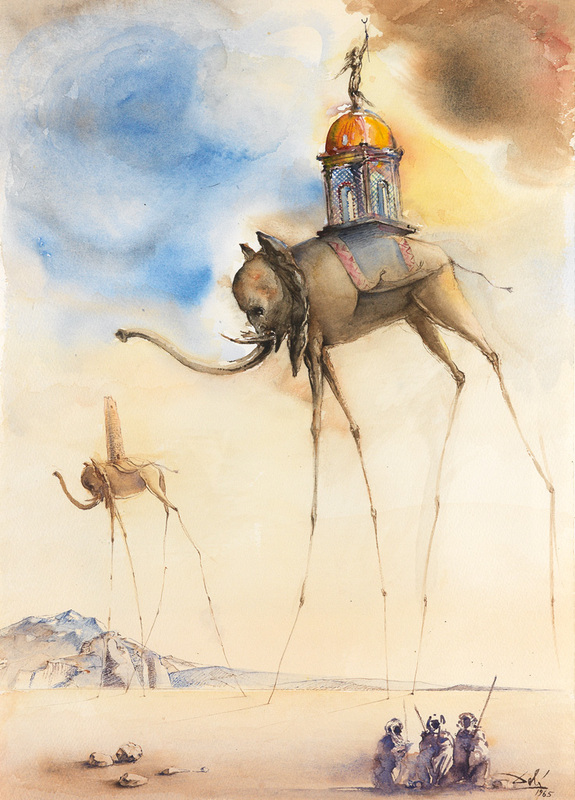 While most auctions here at Swann are assembled with artworks and items from a host of different consignors, we also regularly handle entire private collections, such as A Collector’s Vision: Works on Paper from the Belle Époque & Beyond, which is being featured alongside Old Master Through Modern Prints. Viewing a collection can provide insight into the collector’s interests, and often provides viewers the opportunity to see works from related artists, schools and genres presented alongside one another. Such is the case with this collection, which contains a number of pieces from the Belle Époque, a period of peace, progress, artistic accomplishment and experimentation in the interwar period between the end of the Franco-Prussian War and the beginning of World War One (1871 to 1914). Lot 73: Paul Sérusier, Paysage (La Fin du Jour), color lithograph, 1893. Estimate $2,000 to $3,000. During the Belle Époque the arts flourished, with multiple different genres and schools forming. 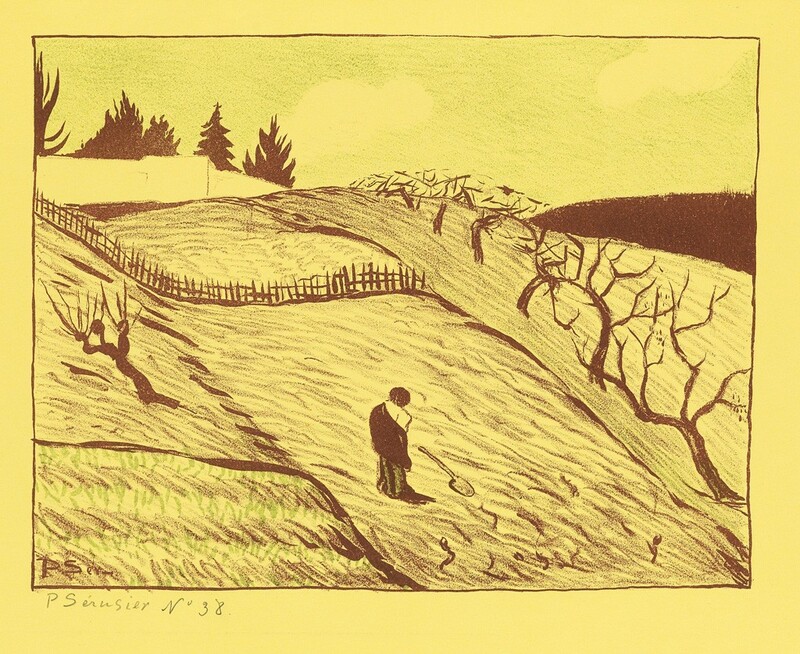 One group of artists particularly well-represented in this collection is Les Nabis. 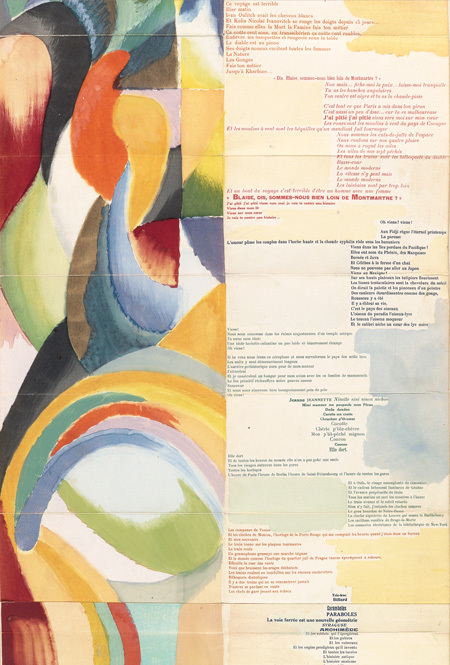 Dominant in Paris in the 1890s, Les Nabis were a group of avant-garde artists committed to the revitalization of painting. The group was begun in 1888 by Paul Sérusier, who studied under Paul Gauguin while at the Pont-Aven artists’ colony. Upon his return to Paris, he and a group of fellow students at the Académie Julian, including Pierre Bonnard and Maurice Denis, coalesced into Les Nabis (from the Hebrew word for “prophet”). 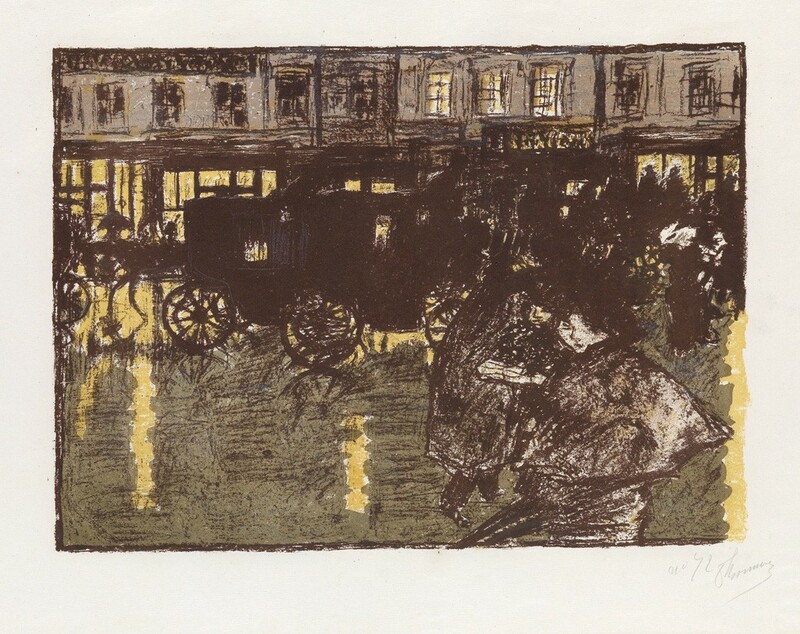 Lot 69: Pierre Bonnard, Rue, le Soir, sous la Pluie, color lithograph, 1899. Estimate $10,000 to $15,000. 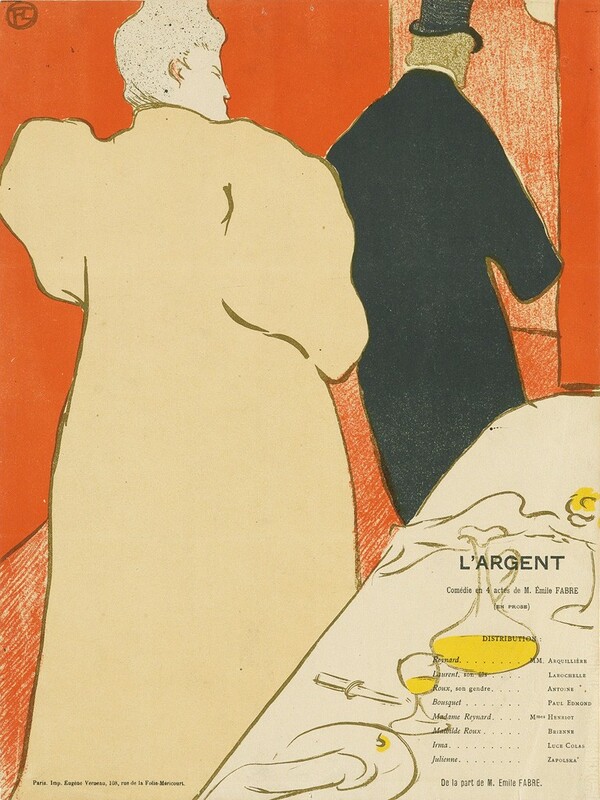 Lot 47: Henri Toulouse-Lautrec, Une Monsieur et une Dame, Programme pour “L’Argent,” color lithograph, 1895. Estimate $8,000 to $12,000. The lives and work of Les Nabis also intertwined with other notable artists working in Paris at the time. Pierre Bonnard became acquainted with the dynamic Art Nouveau painter and printmaker Henri de Toulouse-Lautrec through the Société des Artists Indépendants, an artists’ association begun by Albert Dubois-Pillet, Odilon Redon, Georges Seurat, and Paul Signac. The Société would go on to exhibit works by Marc Chagall and Henri Matisse, among many others. While it is absolutely possible to view and appreciate each of these works on their own, there is something particularly powerful about viewing them together to contextualise the intimate working relationships that existed between the artists. 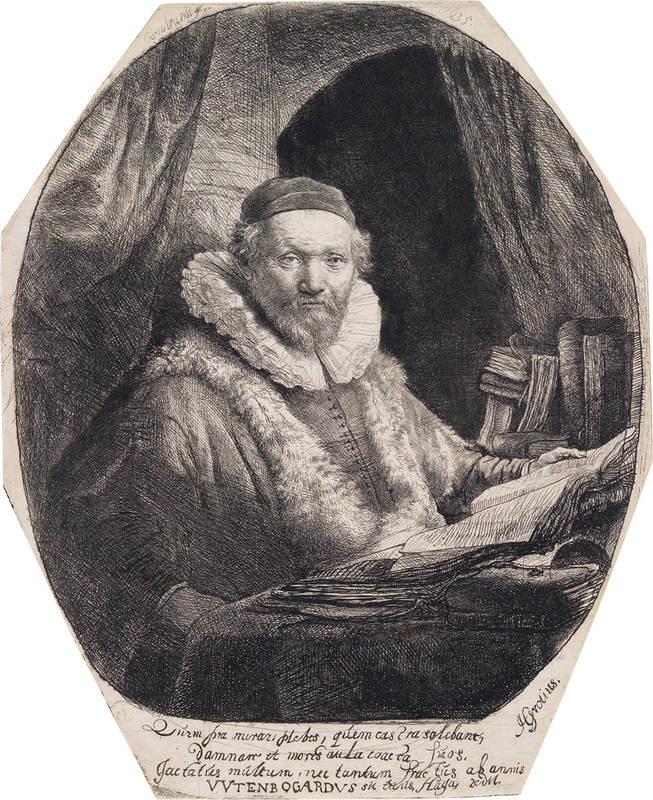 For even more insight into this private collection, see the first half of our two-part catalogue, and make sure to take a look at Old Master Through Modern Prints for even more works from some of these artists.